Search engine optimization (SEO), search engine marketing (SEM), pay-per-click (PPC), conversion, keywords – so many terms remind you of what you’re supposed to do to help your site gain online traction. Sometimes it’s not even just your own website that you would like to get customers’ attention; you want every post you publish to get as many reads, shares, and likes as possible. The primary purpose remains the same: target an audience, attract them, engage them, and then convert them. With all of the terms you have to remember and all the things you have to do for your website, it might be easy to forget one of the things that matter the most: how you write. Before video became popular, the internet had always been about reading. 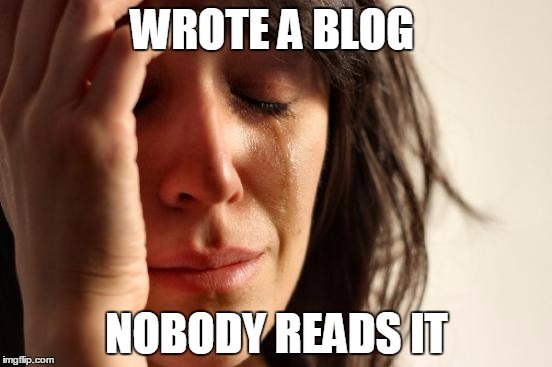 Even with the rise of virtual reality and 4k video, and the evolution of blogging into vlogging, there simply isn’t a way to replace good, ol’ article writing. You can’t just write an article right now and expect it to get a hundred thousand likes and shares overnight. But you can at least give your articles and blog posts a fighting chance at becoming viral. First things first: who are you writing for? If your answer is “everyone”, you probably don’t have a firm grasp of who your target audience is. The first rule when you’re learning how to write an article is to determine whom you expect to read your work. Even a traditional blogger who only intends to use their blog as a personal journal has an idea about who’s likely to visit their blog and read what they have to say: family, friends, people in school or at work, fellow bloggers, etc. The first rule when you’re learning how to write an article is to determine whom you expect to read your work. When you write articles, you need a steady traffic of readers because you want to be seen as an authority in the subject you write about. Although this is one way to improve search engines’ opinion of your website and brand, real people are still your primary target. In determining your audience, the task becomes simpler if you already know your market. And no matter how useful your offering is to just about anyone, there is always a specific demographic that you intend to touch — they’re the reason you need to write articles in the first place. Demographic, geographic, and psychographic variables all have a place in your intention of narrowing down your target. Hitting that target goes both ways: your article has a higher likelihood of exposure as you can direct it better, and your audience appreciates your article more because it answers their need. There is still some debate as to whether keywords play a role in article writing. The use of keywords in writing is not new; it predates the internet. But now, it’s not just people who use keywords to find what they need; search engines look for keywords in websites to help people find what they need faster and more accurately. Keywords still play a huge role in search engine optimization. Keywords still play a huge role in search engine optimization. Whether your article is a guest post in another website, or an entry in your website’s blog page, keywords matter. For guest posts and other off-page articles, keywords are more about mentions and linking to your website, lending it much-needed authority. For on-page blogs, it’s another way to establish your authority by showing people and search engines that you know what you’re talking about and care enough to write about it. Of course, the links to appropriate pages within your site help provide context to your topic and keyword. Keyword research is a part of the job. Just because you know what you’re writing about doesn’t mean you know which keywords will work. This is why keyword research and article writing are industries in themselves. You may have to work with your SEO company to figure out which keywords are good for your articles. 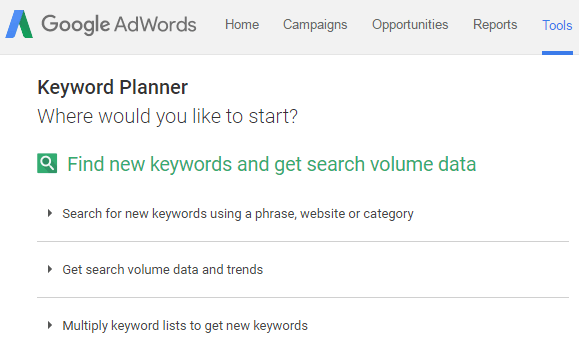 If you’re fairly technical, you may also do this yourself using Google AdWords’ Keyword Planner and similar tools. Here’s a tip: you can use your keywords as the basis for your topics and make your article more targeted. You won’t have a problem inserting your keywords if your topics are written around them. The article doesn’t have to be about the keyword, but it can be closely related. People who are just starting out in SEO and online marketing often ask whether a blog post’s title is a ranking factor. The answer is yes. It is a ranking factor. The meta description, however, is not. What the meta description intends to accomplish is to increase your click-through rates (CTR). A good title is both a ranking help and a click-through magnet. Here is a short list of hacks for writing your titles and making your posts extra-attractive to your audience. Make it about experience or expertise. It can either be your own experience or expertise, or someone recognizable. Examples: “What Kevin Durant’s Move Means for the OKC Thunder”; “What I Think about a Clinton Presidency”; “How I Convinced 10 Investors to Give Me Money”; “What Zuckerberg’s Next Logical Step Should Be”. Make it about your own opinion. This works particularly well when you have a fair amount of success and authority in the field you’re in. Examples: “Why Green Cars aren’t Green”; “7 Myths About Smoking You Shouldn’t Believe”; “What You Probably Don’t Know about Parenting”. Make it about giving your audience something to learn. People love learning something new. Examples: “The Only Guide You Need for Gardening”; “7 Ways to Become More Productive at Work”; “How to Save $500 a Week”. Make it about work. This is the kind of title you use for an article that gives some insight into a job, a business, or anything about work. Examples: “How to Build a Startup”; “Why IT Professionals Earn More”; “7 Reasons to be a Paralegal”. This is about your style of writing and your word choice. There are words that are notorious for not adding anything useful to what you’re trying to say. They waste space and time. Weak writers like to use these words to hit their word count. Want to find out what these words are? Check out this list. Chances are every writer is guilty of using a good percentage of these words. Now is the time to change that. If you want to make the most of your audience’s time, write effective content. Optimizing your articles for search engines gives readers a better opportunity to find them more quickly. To make this happen, coordinate with your SEO team. This is something you can do even before you write the article — right around the time you and your SEO team come up with the best keywords for the article. With these article writing tips, your posts have a fighting chance at being noticed, read, liked, and shared. Whenever it becomes a chore to write, remember one simple fact: your readers can benefit from what you know. Write for them with passion and with knowledge, and everything else will fall into place.